VEXpro offers all the bearings most commonly used by FRC teams, and also replacement bearings for all the "odd sized" bearings used in VEXpro gearboxes. The 0.500" hex bearings (217-2734) have been updated for the 2015 season to a version 2 (217-3875). 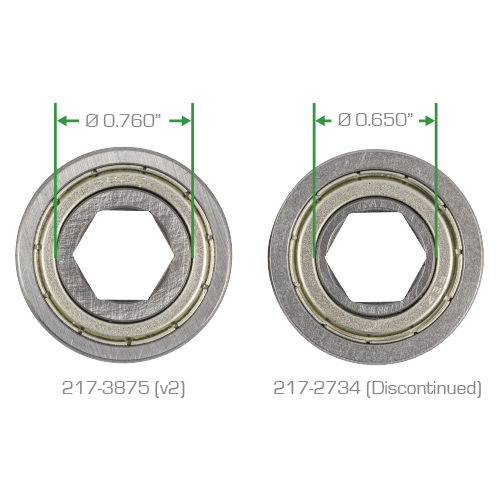 This bearing features a larger inner race for additional strength and durability.